Because so much attention is given to the possibility of a beast from the Jurassic period living in Loch Ness, many are unaware of the many Scottish ghost stories there are. 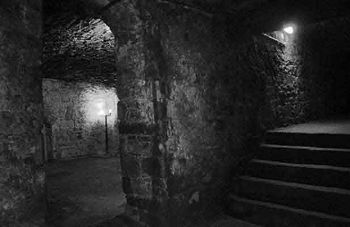 Spirits can be found in many locations throughout Haunted Scotland, with most towns and villages having some kind of ghost story which has been passed down from generation to generation. 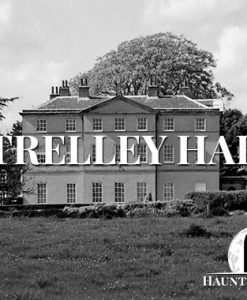 In this article, we are going to be looking at some of the places in which paranormal enthusiasts and investigators planning to visit the country can get their fix. Here are five Scottish ghost stories and most haunted locations in Scotland. Located in the village of Roslin, this 500-year-old chapel has long been rumoured to be home to a number of spirits. Although the construction and ownership of Rosslyn Chapel have been well-documented, it has not stopped locals and pseudo-historians from spreading rumours about the various artefacts which may be found in the building. Some have claimed that the chapel’s original crypt, which has been sealed off for many years, is in fact home to the Holy Grail. That claim may be a little bit more believable had the crypt also not been rumoured to store the first crown jewels of Scotland and/or the mummified head of Jesus Christ. 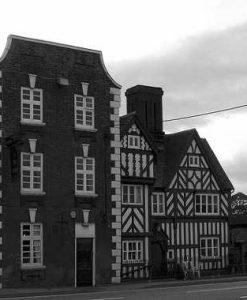 There have also been stories of spirits lurking within the chapel walls and the surrounding area. While these stories may at first seem just as ludicrous as the pickled head of the Son of God, it is important to note that many visitors to the chapel who were unaware of its reputation as a supernatural hotspot have reported odd occurrences and apparitions which vanish as suddenly as they appear. Motorists and those exploring the area around Rosslyn Castle have recalled encounters with a black knight riding on horseback, seemingly unaware that he is hundreds of years removed from the Scotland he knew. It is believed that he was killed in a 1303 battle in which Scottish Knights defeated an army of English soldiers despite the numbers game being stacked against them. 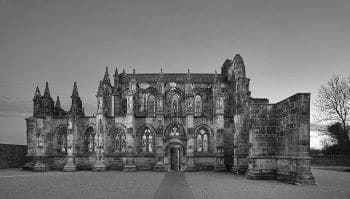 As with any haunted chapel, Rosslyn Chapel is also said to be home to a mysterious lady in white, who has appeared before a number of stunned tourists over the years. William Shakespeare’s play “Macbeth”, in which the title character is proclaimed Thane of Cawdor, is infamously said to be cursed by a group of witches who were infuriated when the playwright used one of their spells in the iconic opening scene. 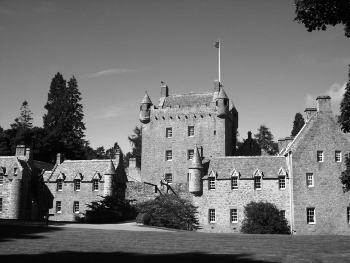 So perhaps it should be no surprise that Cawdor Castle has a long history of paranormal occurrences. Cawdor Castle also seems to have been influenced by the events in “Romeo and Juliet”, perhaps the Bard’s most famous work. It is said that in the early 1880s, the daughter of the Earl of Cawdor entered into a relationship with a young man from a rival family. When the Earl stumbled upon his daughter and her forbidden lover in their secret hiding place, he was so infuriated by her perceived betrayal that he pursued his daughter through the castle until she had no place left to run. In a desperate attempt to escape, she climbed out of a castle window and began to lower herself to the ground below. However, while she was still dangling from the window, the Earl drew out his sword and slashed off his daughter’s hands. Those who have visited the castle since, quite often simply looking for a nice day out, have reported encountering a handless young woman, roaming the building in a blue velvet dress. 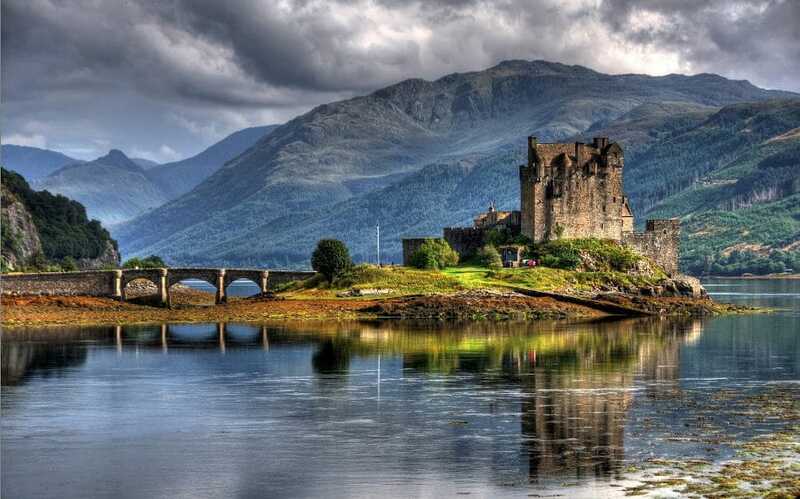 You were probably aware coming into this article that Scotland has a lot of castles. 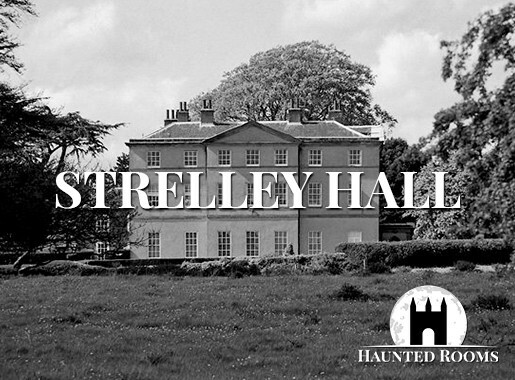 Furthermore, most of them are said to be haunted. Stirling Castle is no different. 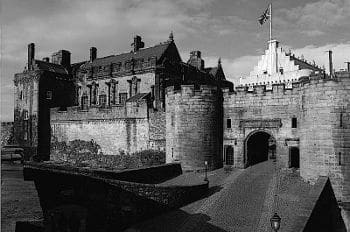 Of the many spirits said to haunt Stirling Castle, the most frequently reported is referred to as “The Highland Ghost”. The Highland Ghost is always seen decked out in traditional Scottish garb, hence his name. Visitors often mistake him for a tour guide and approach him for directions or with a question, only to be stunned when he vanishes before their eyes. In 1933, The Highland Ghost was reportedly captured on film, though there is a debate about the validity of the footage. Also to be found in Stirling Castle is the infamous Green Lady, who is believed to have been a servant to Mary, Queen of Scots. According to some sources, she met her end while trying to save her master from a fire which broke out in her bedroom. The ghost of Mary, Queen of Scots herself has also been said to haunt the grounds, but she and her servant have not been seen together. Perhaps The Green Lady is unaware that the woman she died for is also still within the castle walls, or perhaps she is simply enjoying the relative freedom of the afterlife. According to the hotel’s website, the Dryburgh Abbey Hotel offers peace and tranquility in the Scottish borders. What it isn’t so eager to dispose of, however, is the fact that Dryburgh Abbey Hotel has been the site of much-unexplained activity and countless paranormal sightings. The original Dryburgh Abbey served as home to a Roman Catholic order of monks and was founded in 1150 by the Lord of Lauderdale. In the near thousand years which have passed since the monastery was built, it has become nothing more than some fallen rubble, now located within the grounds of the Dryburgh Abbey Hotel. 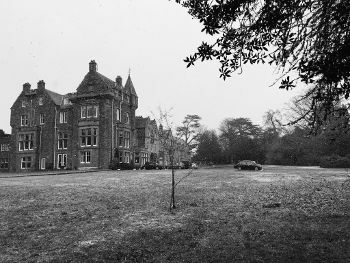 The four-star hotel is said to have been built on the site of an older house which stood during Dryburgh Abbey’s years as a religious property. According to some sources, the original Dryburgh Abbey House was home to a young woman who entered into a tempestuous love affair with a monk. When the monk’s peers discovered the relationship, they demanded he is executed for his failure to stay true to his vocation. When the woman learned of her lover’s death, she was so distraught that she threw herself into the River Tweed, where she subsequently drowned. Visitors of Dryburgh Abbey Hotel have reported witnessing the woman journeying through the hotel and its grounds, and she has come to be known as “The Grey Lady”. Guests have also encountered the unnerving apparition of a group of monks engrossed in some sort of religious chant. It should be noted that at least some of the monks in this ghostly order could be responsible for the killing of The Grey Lady’s partner. Fans of paranormal television may recall the Niddry Street Vaults from “Most Haunted” and the BBC special “Joe Swash Believes in Ghosts” ( which was horrifying for all the wrong reasons). Towards the end of the 18th Century, the Niddry Street Vaults became home to numerous taverns, merchants, and anybody who wanted to fly under the radar of law enforcement. It is said that serial killers Burke and Hare used the vaults to stash bodies during the height of their dastardly deeds. Written records of the vaults are few and far between, so it is not known for certain when they were shut down, but it is believed to have been sometime in the mid-19th Century. The vaults were rediscovered in the 1980s and an excavation was held a couple of years later, during which numerous artifacts from its time as a literal black market were discovered. A modern witches coven set up shop in the vaults after their excavation, which may account for some of the heightened paranormal activity in the location. It is said that shortly after claiming the vaults, members of the coven set about searching for a room in which to stage their various rituals. After settling into a room and doing whatever it is witches do (possibly cursing Shakespeare), the group left for the night. Upon their return the following day, they found the room in a state of disrepair and some reported seeing a “shadow man” in the mirror which hung in the room. 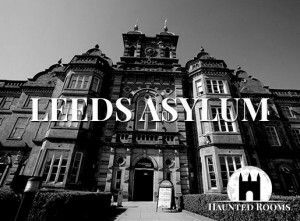 Another room in the vault is said to be home to a vicious poltergeist, who has attacked numerous visitors over the years. During the vaults’ early years as a tourist attraction, light bulbs installed in the room would explode for seemingly no reason at all. Any replacement bulb would meet a similar fate, and caretakers eventually stopped trying to light the room altogether. It now lies in a state of perpetual darkness, save for the torches and lanterns carried by those determined to visit. See our Scotland Ghost Hunts!